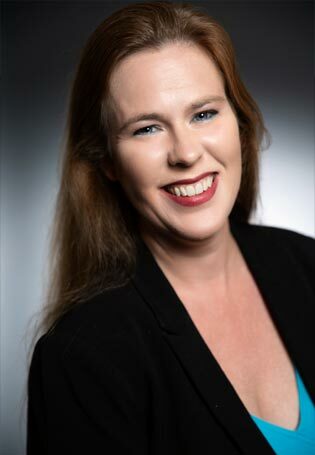 Family Law Attorney, Mary Zogg proudly serves the Family Law Modification - Contempt - Enforcement legal needs of those in Orlando, Central Florida, and Fort Lauderdale. Call 321.209.1878 to schedule an confidential legal consultation regarding your Family Law Modification - Contempt - Enforcement matters. After a final order or judgment is entered, either party may ask that the court enforce the existing order/judgment or change it. To enforce an existing order, a motion for contempt and enforcement may be addressed. To ask for a change of the final judgment, a petition for modification must be filed. Final judgments and orders are intended be exactly that: final. Therefore, the court does not make it easy for these orders/judgements to be altered. In order to change the agreement, you have to prove to the court that there has been a substantial change of circumstances that was not known, and could not have been anticipated, at the time of the entry of the final judgment. This is not always easy to do, especially as to it relates to time-sharing and parental responsibility. Equitable distribution (i.e. division of property) cannot be modified. Once the court rules on the division of your assets and debts, it cannot be changed. Alimony may be modifiable, depending on the terms of the agreement(s), the type of alimony awarded, and/or the substance of the order or final judgment. Time-sharing and parental responsibility can be modified, but only when there has been a substantial change of circumstances. Child support is always modifiable. Typically, any change in circumstances that would result in a change of more than $75 per month in support will be considered substantial, and, thus, subject to change or modification. Any change in child support will be modifiable retroactive to the date that you officially filed the petition for modification. Only in rare instances will the modification go back before the filing of the petition. The court will stand behind its orders and judgments. If a party fails to abide by the orders of the court, he/she can be found in contempt and/or forced to abide by the terms of the order or judgment. To be found in contempt, a party’s non-compliance has to be willful. In other words, they need to intentionally not comply. For example, if they are not paying support, but they have the ability to do so, then the court can find them in contempt. If a party is found in contempt, they can be forced to come into compliance with the order (otherwise known as enforcement), and they may also be ordered to pay fines, attorney fees, and court costs relating to bringing the motion for contempt. In some cases, the court can also put a person who has been found in contempt in jail for up to six(6) months. In order to enforce a court order, a motion for contempt and enforcement must be made known. The court cannot enter an order of enforcement if it does not know that a person is not complying with the court’s orders and judgments. It is important that parties ensure the compliance with court orders and judgments by notifying a party of his/her non-compliance and coming to an agreement as to how they may become compliant, or by filing a motion to seek enforcement of the court’s orders and judgments. Call Orlando Family Law Lawyer, Mary Zogg at 321.209.1878 to discuss your Family Law Modification - Contempt - Enforcement needs and goals. Mary Zogg has extensive experience in assisting Orlando, Winter Park, Maitland, Longwood, Central Florida and Fort Lauderdale residents who require professional Family Law Modification - Contempt - Enforcement Attorney legal services. Attorney, Mary Zogg serves the Family Law Modification - Contempt - Enforcement needs of those in Central Florida including Orange County Florida, including: Orlando, Maitland, Apopka, Winter Park, Alafaya, Bay Lake, Belle Isle, Bithlo, Christmas, Doctor Phillips, Eatonville, Edgewood, Fairway Shores, Goldenrod, Gotha, Hunter's Creek, Lake Buena Vista, Lockhart, Meadow Woods, Oakland, Ocoee, Orlovista, Pine Castle, Pine Hills, Southchase, South Apopka, Taft, Tangerine, Union Park, Wedgefield, Williamsburg, Windermere, Winter Garden, Zellwood, Osceola County Florida, including: , Campbell, Celebration, Champions Gate, Deer Park, Four Corners, Harmony, Intercession City, Kenansville, Narc oossee, Poinciana, Reunion, Yeehaw Junction.